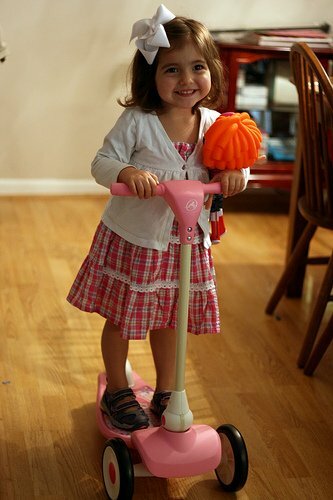 3 years ago today, I met my little girl face to face for the first time. I remember my eyes filling with tears as I gasped when I saw her sweet face. 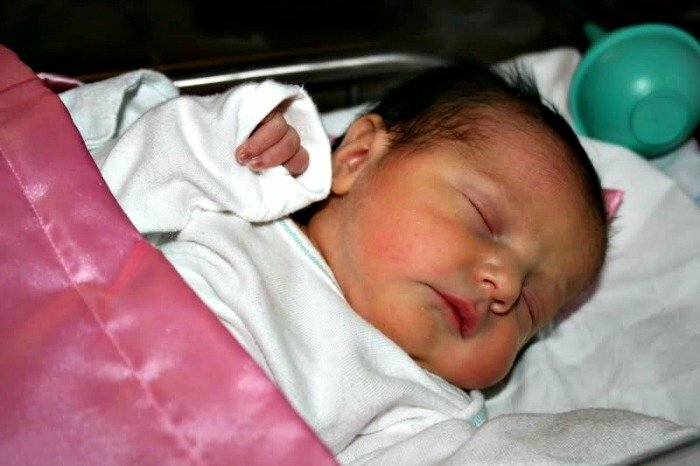 The emotions overwhelmed me and I instantly felt a rush of love and affection towards this tiny stranger who I’d felt kicking and squirming inside me just moments earlier. It was a radically different experience in comparison with the birth of my son. When he was born, I loved him instantly, but I didn’t know what was to come, it was all a mystery. My sweet boy taught me to be a mom and taught me what it felt like to earn and receive the love of a child. When Elizabeth came into this world, I knew the love and the laughter that awaited. I felt joy and elation at what the next years of our lives together would bring. Today she’s 3 and I have not been disappointed for one minute. God could not have blessed me with a daughter that was more perfect and more perfectly imperfect in all the right ways. I’m honored to be her mom every single day. I love you Princess Peach! In honor of my sweet girl’s birthday, I decided she needed a special breakfast! I saw these pancakes a few weeks back and I just knew I had to make them! These were tasty, and the kids LOVED them. I’m not a sweet breakfast eater, but the bit I did have was very tasty and enjoyable. 2. Add wet ingredients and mix until fully combined. Start with 1 cup of milk and add more if necessary. I needed close to 2 cups. You want the batter to be a bit on the thin side but not watery at all. 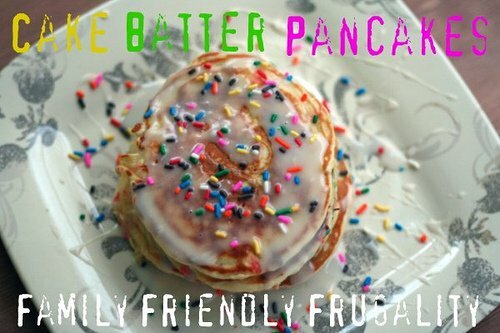 Just like typical pancake batter. According to How Sweet It Is, it seems to depend on what cake mix you buy how much milk you need. 4. Cook the pancakes like normal on a hot griddle or pan. 1. Mix the powdered sugar, vanilla & milk together until it forms a glaze. You might need to add more milk. 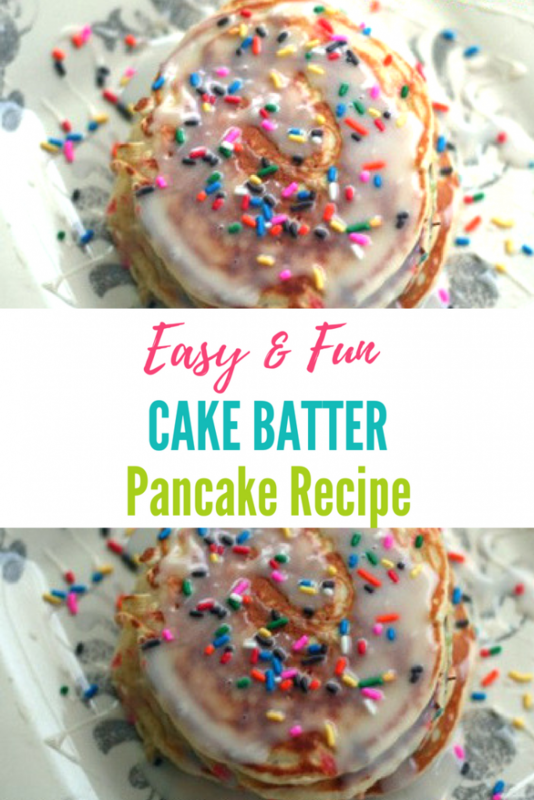 This recipe made us 10 pancakes but some of my earlier pancakes were too big, so it could probably easily make 12. What a special treat for a birthday breakfast! 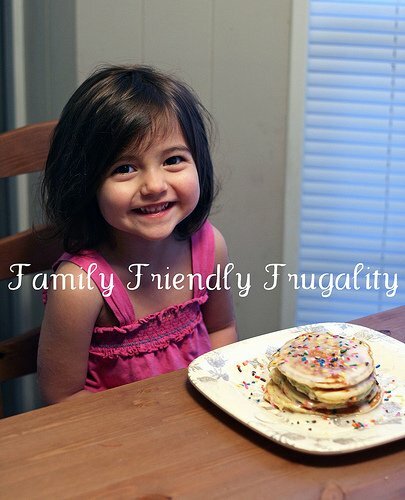 Be sure to check out all the frugal recipes here on Family Friendly Frugality! thank you for the idea and the recipe! hope she had a great day! wow, can she get any cuter! such a dollbaby! Happy Birthday, sweet Lizzie! She is so adorable, Heather. I love her birthday outfit, too. The pancakes look so festive and yummy. Thanks for sharing the recipe! Can you use other cake mixes instead of yellow cake mix. Completely forgot to get some but we have strawberry cake mix. Might give it arty and see if it works!